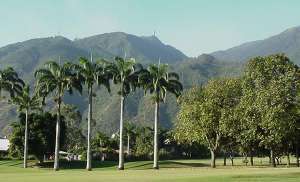 Katy says: Caracas mayor Juan Barreto has expropriated four golf courses in the Caracas metropolitan area. At least that is what the Official Gazette says. No word yet on whether this is more hot air or whether they are actually going to invade the lots.